With Wimbledon in full swing and enjoying sweltering temperatures we thought it would be a good time for a results update on one of our tennis services. The service is question is Tennis Trading League from Patrick Ross. Although the title suggests this is a trading service, Patrick also provide betting tips for tennis matches and it is that part of the service we are testing. We are just over two months into the trial, so how has it been going? Well not too great unfortunately. We are a shade under 4 points down so far after 117 bets. So not too bad, but disappointing to be running a loss after two months. A small silver lining is that Patrick has made a good start to Wimbledon, with six winning bets out of seven, so let’s hope it leads to a revival in fortunes between now and the end of the trial. We will update results with our final review towards the end of the month, but in the meantime enjoy the rest of the Wimbledon – and stay cool! You can check out Tennis Trading League here. Can Andy Murray Reign At Wimbledon Once Again? 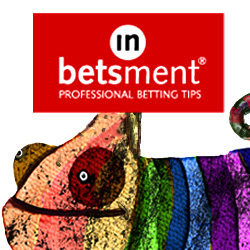 50% Off Top Tipster – For Life!